The myth that searing your meat will "seal" in the juices has been debunked since the early 1900's, yet it continues to thrive as a top cooking tip. The truth is that about 70% of meat is water and it's locked in thousands of long, thin muscle fibers. Searing can't somehow magically weld the fibers shut and lock in the juices. In fact, searing the meat will actually make it more permeable so juices are more likely to release under pressure. Yet just because you can't stop the juices by searing, it's still the best way to get a golden, almost caramelized exterior. If you sear at high heat and then finish your meat off at a lower heat and let it rest before serving, you can preserve the largest amount of those yummy juices. Wine and liquor are often used for marinades or to deglaze a pan for a sauce and if you think your alcohol is burnt off in the cooking process, you're wrong. The amount of alcohol left after depends on the concentration, heat, and time. A recipe using a higher percentage of alcohol heated for a short amount of time will retain more alcohol than a recipe using a lower percentage of alcohol heated for a long time. Alcohol boils at a much lower temperature than water (173 F compared with 212 F), so when making a sauce, for example, the alcohol will start to evaporate before the water does - but just heating the alcohol won't make it all evaporate. No matter what, there's likely a percentage left still intact. You'd have to cook your dish for three solid hours for all traces of alcohol to be removed, which can make it inedible. If you're worried about having any traces of alcohol in a dish, you can easily find substitutes like vinegar and stock to use instead. Lard (rendered pig fat) is not a typical saturated animal fat. Pure lard is actually healthier than you think - it contains no trans fats while margarine and shortenings do. When comparing lard's fatty acids to butter, lard is better - being 60% monounsaturated fat (associated with decreased risk of heart disease) while butter is only 45%. Most of lard's 60% is oleic acid (a heart-healthy essential fatty acid associated with lowering "bad" cholesterol). Lard contains about double the amount of oleic acid found in butter as well as about half as much saturated fat. Chefs will swear lard is the secret ingredient to making the flakiest pie crust but finding pure lard can be hard since it was getting bad press for the longest time. Fats (animal fats in particular) have been made the villain of obesity and health struggles in America, so in came vegetable-based alternatives like Crisco and margarine, and spreads like I Can't Believe It's Not Butter! Maybe it's time to bring back the lard on grocery store shelves. Adding oil to the pot of boiling water might prevent the water from foaming up at the top, but it won't stop your noodles from sticking together. Why this doesn't work is because oil floats to the surface and won't touch the pasta in the pot anyway. Also, if you're using higher quality noodles, they won't even stick together because they will have enough protein and gluten in them to prevent any stickiness in the first place. Yet even if you use the box variety, as long as you're stirring every once in a while and the water is covering the pasta, sticking shouldn't be an issue while it's boiling. Also, once you drain your pasta and are worried about sticking before adding sauce, still skip the olive oil and go for butter instead. The butter will become a part of your sauce and help make it stick to the noodle while oil, on the other hand, will coat the noodles and make the sauce slide right off. If you think the meat you're about to grill has just been "tenderized" by that marinade, you're wrong. Marinades don't do much of anything, let alone tenderize meats. Moreover, if you have a lot of acidity in the marinade (vinegar or lemon juice) and the meat has soaked for too long, it can get mealy and actually damage the meat. That's due to the fact that acid destroys protein by unwinding the strands. This does make the meat softer, so this is where the "tenderizing" myth comes from. On top of this, whether you soak the meat for 7 hours or 7 days, it is only being penetrated about an 8th of an inch deep. This is because, once again, meat is about 70% water, and water and oily marinades don't mix. Yet this doesn't mean you should completely ditch your marinades. Most cuts of meats that we typically marinade are thin (pork, chicken, etc. ), so it can impart some great flavors if constructed correctly. Just remember that it will need to stand up to the strong flavor of cooked meat, so go both simple and bold with your ingredient choices. Also, don't forget the wonders just a bit of salt and freshly ground pepper can do for bringing out the natural flavor of your food. Capsaicin is the component of hot peppers that produces the burning sensation when consumed, but if you want to get a little less heat in the dish you're making, taking out just the seeds won't remove this heat producer. While it may help a little bit, the real cause of the fire is the pepper's inner white pith and ribs. The seeds can be coated with capsaicin since they touch the ribs, but they are only hot by association and don't contain any heat themselves. If you really want to cut down the hotness, you need to take out the pith and rib as well as the seeds. If you're trying to keep your turkey moist by basting it you're not accomplishing anything. Basting with fat only gives you that golden-brown crust color and flavors just the skin, not the meat underneath. Moreover, by basting your turkey, you're making the meat less moist. The basting technique means you have to keep opening the oven, and each time you let out heat. This, in turn, means your turkey will have to stay in the oven cooking for an even longer amount of time which will only dry it out. Considering the meat is much more important than the skin, next time skip the basting and instead brine your bird ahead of time to inject maximum flavor. Wrapping your bread in plastic and putting it in the fridge to keep it fresh is actually the worst thing you can do to it. Bread's starches are rearranged in the baking process, but after they cool, they'll regroup back to their original crystallized state. This is why bread gets hard or stale. While this still occurs while resting at room temperature, placing it in a cooler but above freezing environment (aka your fridge) only speeds this process along. 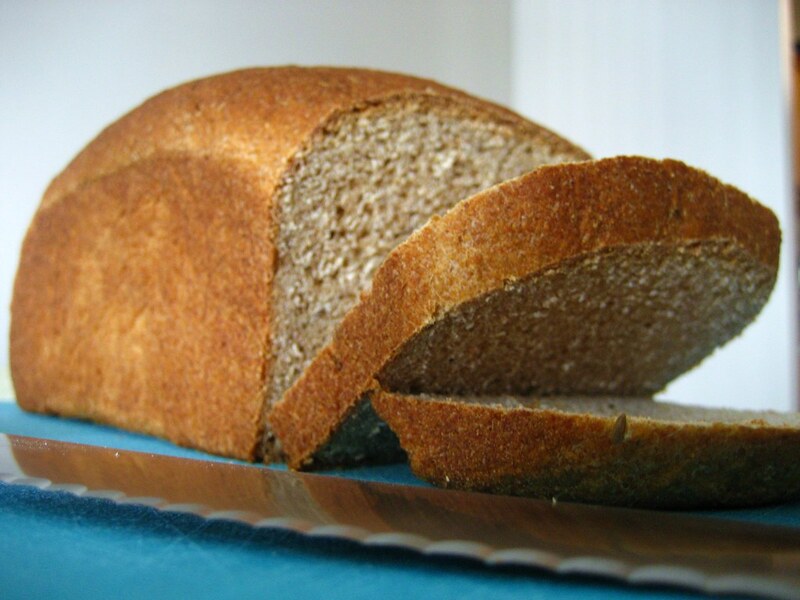 The best thing you can do to keep your bread from going stale is buying an unsliced loaf, cutting however much you need off each time, and placing the loaf cut side down to store. Also, if you buy in bulk, you can freeze your bread. Wrap it in an airtight container or bag and store it in the freezer until you're ready for to use it, then thaw completely before taking it out of the container. Unlike the cool environment of the fridge, the freezer actually slows the recrystallization process down dramatically, thus keeping your bread from going stale for much longer. Cut avocados turn brown because they (like apples, potatoes, etc.) contain an enzyme called polyphenol oxidase, which means that when they come in contact with air, the oxygen reacts with the enzyme and causes the color change. Everyone seems to think they know the best trick for keeping avocados from browning, like keeping the pit in, squirting it with lemon juice, putting it in a water bath, or in a bowl with a halved onion. Some of those may slow the browning process better than others, but the thing is, as long as there's air getting to the avocado, nothing can stop it from browning - it's science. You can just eat your avocado in one sitting or get over its slightly brown tint the next day. Sorry, but those are, unfortunately, your only real options. Eggshells are made of calcium carbonate, and adding vinegar to the water will dissolve some of this chemical, but this really only makes the shell softer. In reality, that doesn't mean the shells will come off the eggs easier. What actually does affects the shell's ease of removal is in the cooking process. To get effortlessly easy-to-peel eggs every time, don't bring the water to a boil while the eggs are in the pot - you need to have the water already boiling, then gently lower the eggs in. Bring the heat down a bit from a rolling boil to just a few bubbles and cook for about 13 minutes. The next step is shocking the eggs (put in an ice bath for about 5 minutes), that way they'll be cool enough to remove the shell right away. Saltwater isn't as resistant to changing temperature as freshwater is, but adding salt actually raises the boiling point of water. Essentially, it takes more heat salted water to boil than its unsalted counterpart, meaning it takes even longer to reach boiling point. Yet adding salt to the pot is important for flavoring (especially pasta), so that extra time really should be of no concern. Many old-school chefs and traditional home cooks say that "washing" mushrooms to clean them is harmful and that you only need to wipe the "dirt" off with a towel. The theory is that just a drop of water touching the porous fungi will cause it to lose its flavor from the absorption and also make it impossible to brown in a pan. Yet this myth is ridiculous as a study found that after soaking mushrooms for 5 minutes, they only absorbed 1/16 a teaspoon of liquid. That means a quick rinse and towel dry won't do anything to ruin your mushrooms' flavor. As for browning in the pan, it is true that a damp, freshly washed mushroom won't be absorbing oil as the water evaporates, but once it dries up in the pan, it will cook just fine. Monosodium glutamate (MSG) is a flavor enhancer commonly added to Chinese food. 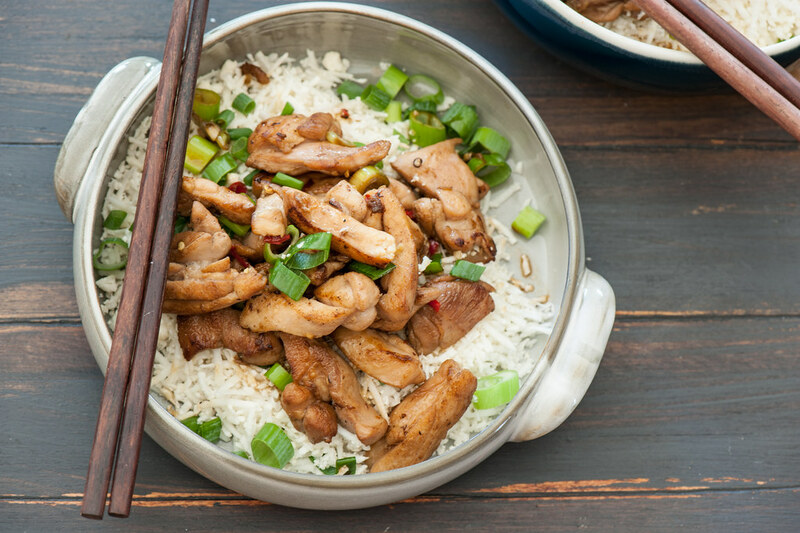 When people started feeling like they were having a reaction to MSG, they nicknamed it "Chinese Restaurant Syndrome" (even though MSG is added to canned vegetables, soups, and processed meats as well). Some of the random symptoms are headaches, flushing, sweating, facial pressure or tightness, nausea, and weakness (aka they probably ate too much food). Thinking MSG is poison is ridiculous because researchers haven't found definitive evidence that links MSG and these random symptoms. Researchers say that a small percentage of people may possibly have short-term reactions to MSG, so it remains controversial - that's the only reason the FDA says it must be listed on the label when added. But MSG has been used as a food additive for decades, so why MSG is such a big deal now is beyond us. Pass the kung pao chicken, please. Did you know that table salt is twice as salty by volume than Kosher salt? If you didn't, you might have added Kosher measurement of table salt in your soup or stew and now you've got a problem. You may have heard the myth that adding a potato will somehow soak the salt up. Well, here's the truth: Potatoes can't pull salt out of anything. The reason the potato has salt on it when you pull it out of the soup is that it absorbs water, and in this case, salty water. Really, all you can do to your over salty soup is to dilute it, so you might as well skip the potato and just add water, which will get you the same end result. You don't have to fear that pausing while whipping egg whites or cream will make your whip fall apart. You can stop when your arm is feeling too tired or heavy and just pick back up a few seconds later - just don't take the whisk out on your little break. Leave the whisk inside the mixture the whole time and restart your hand mixer (or your own hand and whisk) at medium speed and gradually increase. In fact, pausing when you're whipping can actually help by allowing the structure to set and firm up a little. Building off that, there are certain whisks that are more suited for specific jobs, but generally speaking, you don't need a special whisk. The best option is a wire balloon whisk - it's versatile enough to easily aerate and whisk cream and eggs to soft peaks and batters to a silky, smooth texture. It might feel good initially, but applying ice to a minor burn or even soaking a burn in ice water is the worst thing you can do for the healing process. If you put ice on the burn, you have the potential to extend the damage by getting a frostbite injury over a burn injury. Instead, when you burn yourself (5 cm or smaller), rinse with cool (not cold) water to stop the skin from cooking. Anything larger than 5 cm you should see a doctor, but for minor burns just add ointment and cover it. The most important thing is to keep it comfortable and clean, so wash it regularly. Let it heal and you'll be as good as new. 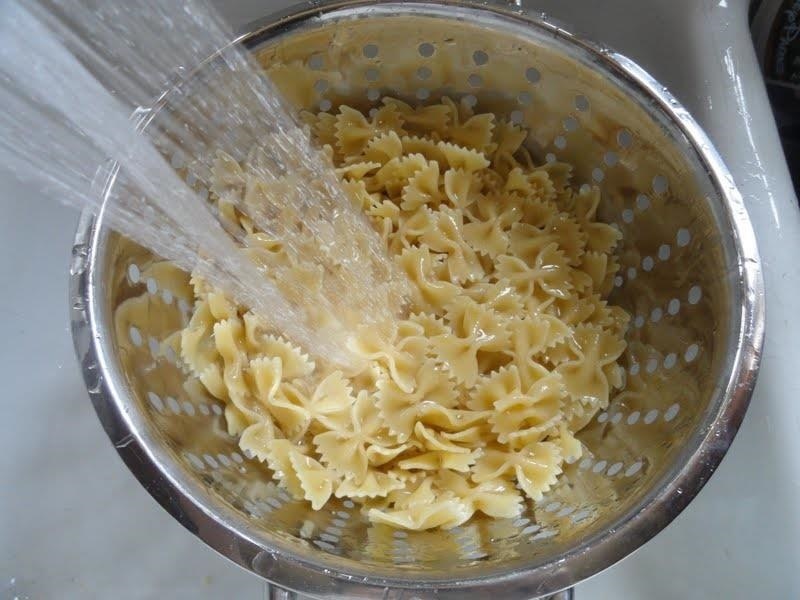 A lot of people "shock" their pasta after cooking it, which is just rinsing it with cold water, but you shouldn't. All it does is wash away all of that nice starch covering the outside of the noodles and that leads to thinner sauces and dryer pasta. You want your pasta to be slightly starchy so the sauce can stay glued to the noodles - when you rinse off the sticky flavor, you're left with a watery meal (and that sounds terrible).